Frigidaire and hOmeLabs are two of the most well-known brands in home appliances both big and small. They both offer the kind of appliances and top-notch service that you deserve, but their products are nowhere near the same in construction or function. 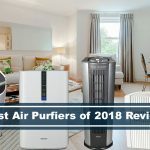 This truth extends to their respective dehumidifier units, both of which serve the purpose of sapping humidity out of the air to make a space more comfortable. This is no small investment. When it comes to the comfort of your home or office, you don’t want to end up with a subpar product that doesn’t quite meet your needs. These competing brands know how to make any room a less humid place to be, but they go about it in different ways. So how do you decide which one is right for you? Frigidaire and hOmeLabs are both exceptional leaders in home appliances, but you can’t just blindly pick one and hope for the best. Fortunately, we’re here for you to break down the differences and the similarities so that you can make the best decision for your home or work environment. 3 Should I Buy Frigidaire or hOmeLabs? 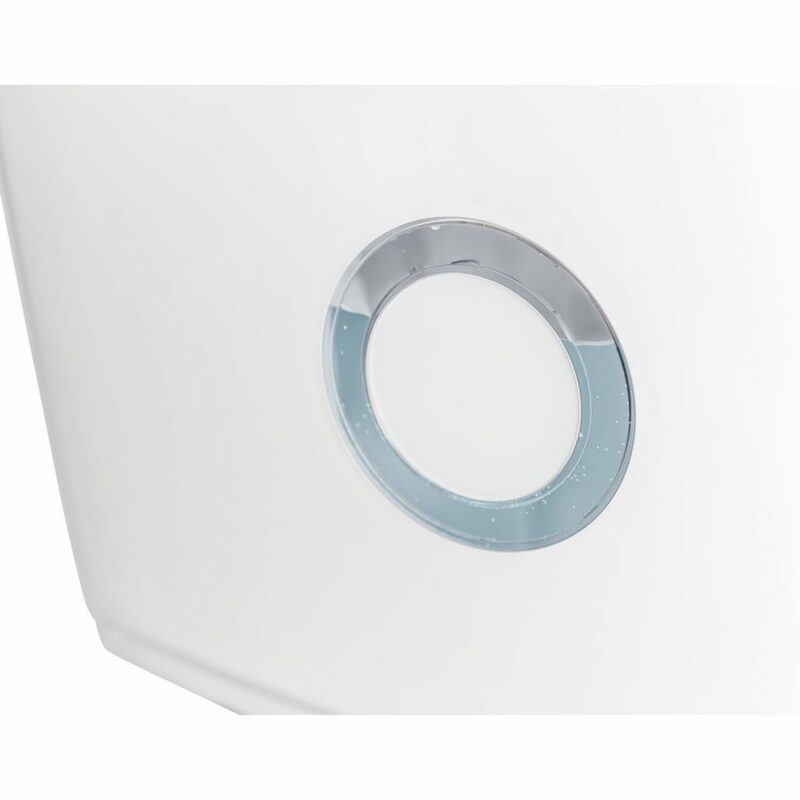 This unit also packs a moisture-removing wallop at 9 gallons (or 70 pints) in size, with the option to have it running on a consistent basis with the use of a drainage hose and adequate drain. The removable water reservoir of this Frigidaire unit holds 13.1 pints of removed humidity until it must be dumped. 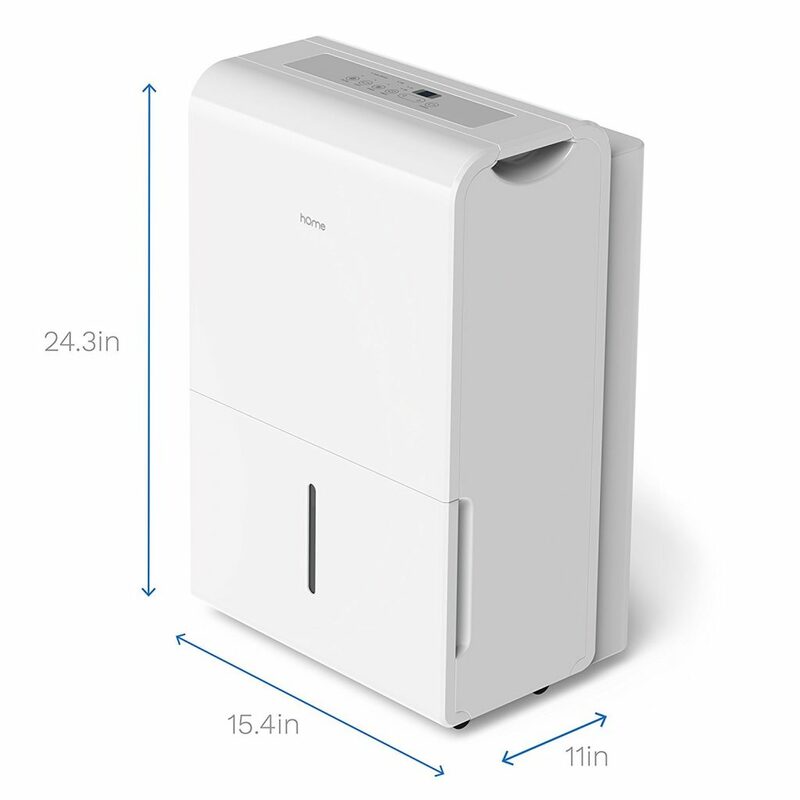 At a whopping nine gallons, the hOmeLabs dehumidifier can pull a lot of moisture from the air before its water reservoir becomes full. This is a fantastic choice for large spaces that are frequently humid, like certain workshops or homes in stickier climates. 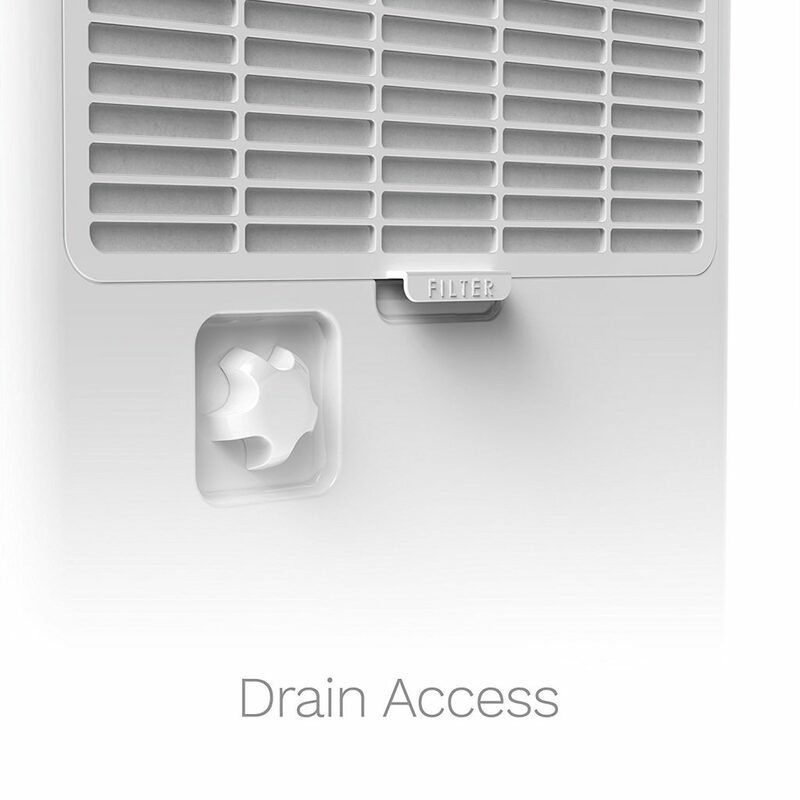 The removable water tank holds up to six liters of moisture before it must be drained, though the unit does also come with a hose for the purpose of draining as well. 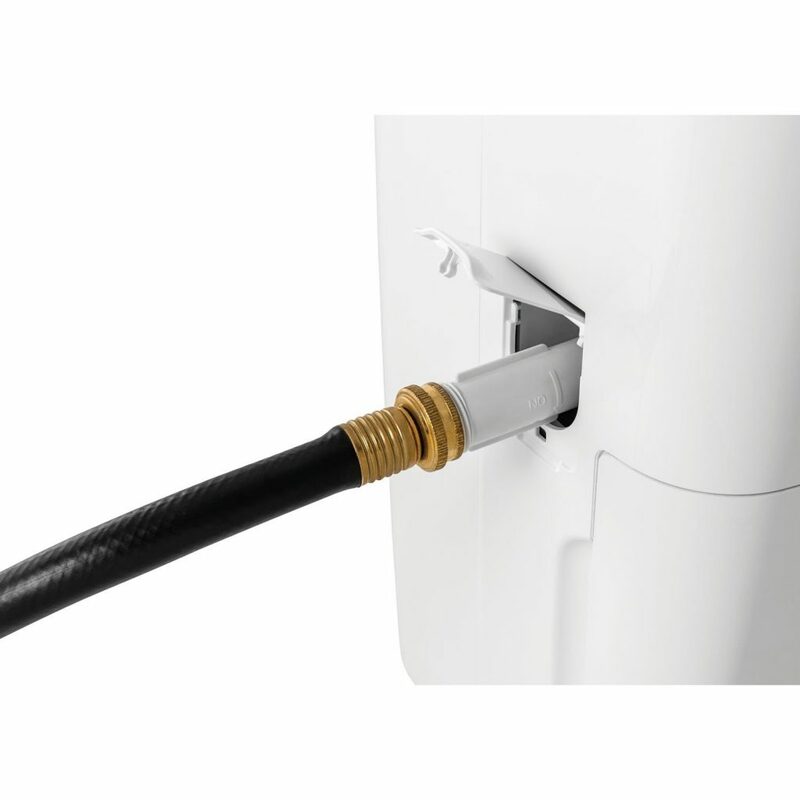 This hose can be attached to the unit prior to its use so that you don’t have to worry about emptying a heavy bucket full of water. 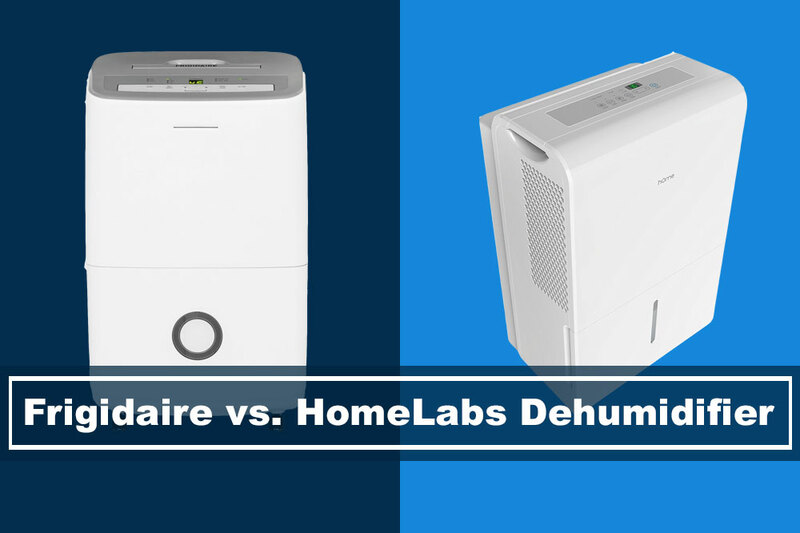 Frigidaire’s many features nearly echo the HomeLabs dehumidifying unit’s, with a few notable differences. 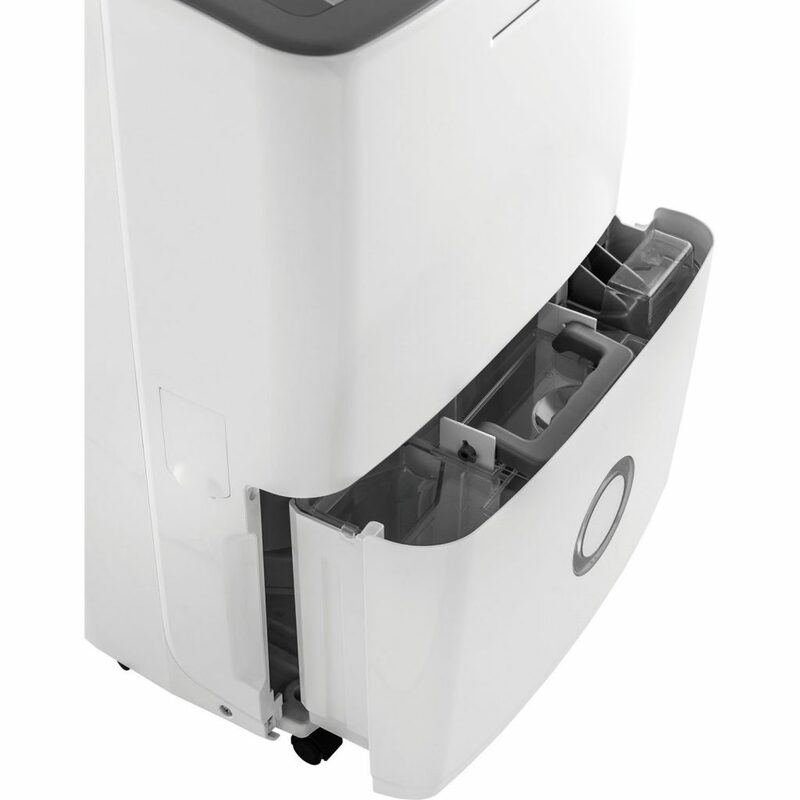 Take a look at our full spec and detailed review about the Frigidaire 70-pint dehumidifier. 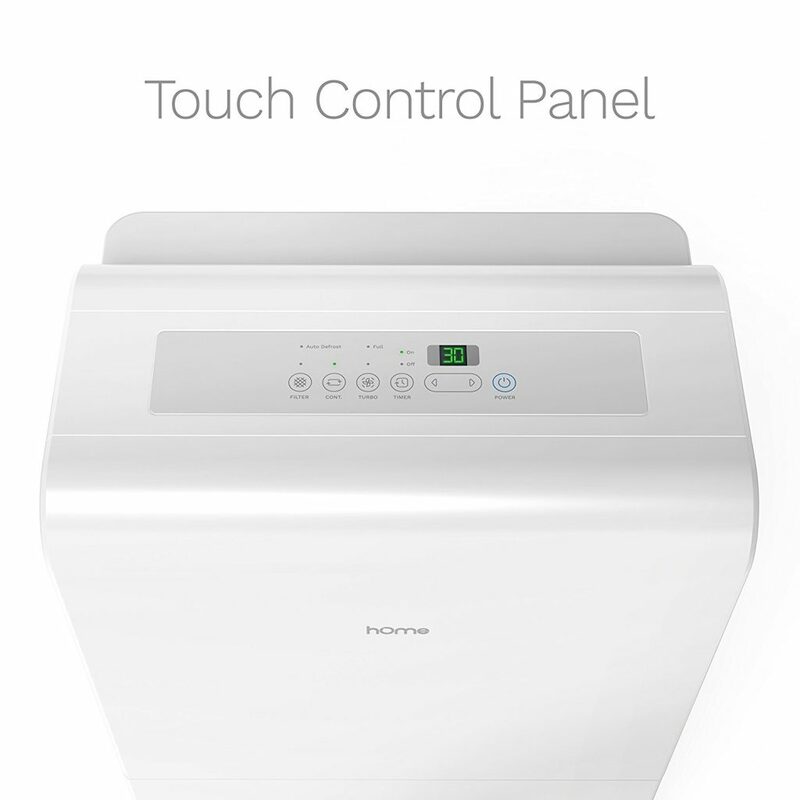 The HomeLabs 9 Gallon Dehumidifier is chock-full of features that make its use easy and convenient for absolutely any user. Should I Buy Frigidaire or hOmeLabs? If you need a moderate to large-sized space more humidity controlled, then both models are suitable options for you. 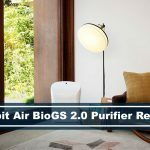 They are both at the top of their class in terms of pulling excess water from the air and improving the quality of the air that we breathe. 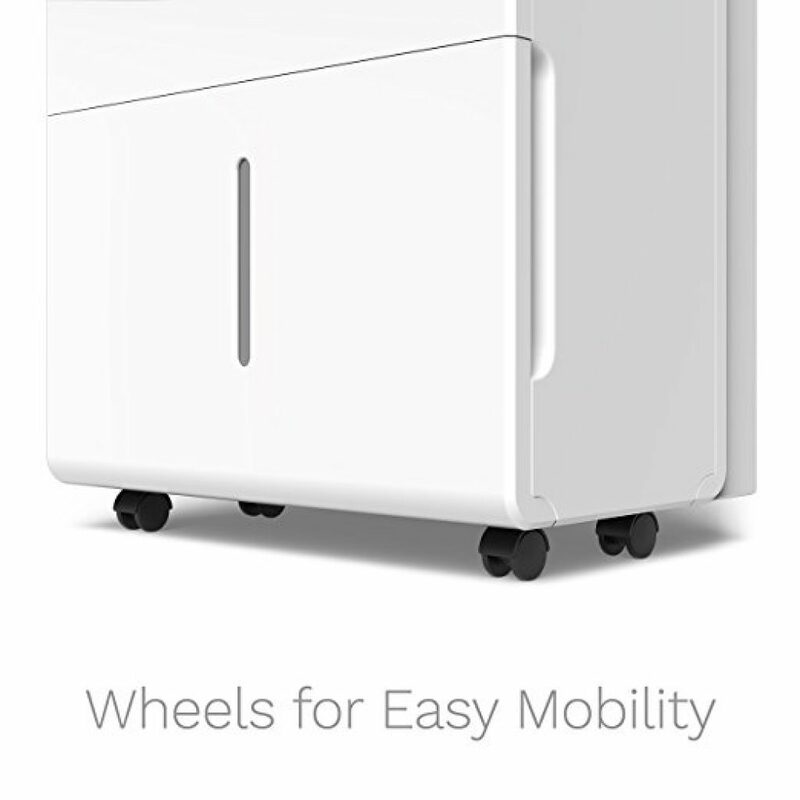 The hOmeLabs 9 Gallon Dehumidifier seems designed with larger spaces in mind, or with a greater degree of attention paid to those who might need to run their unit nearly constantly. 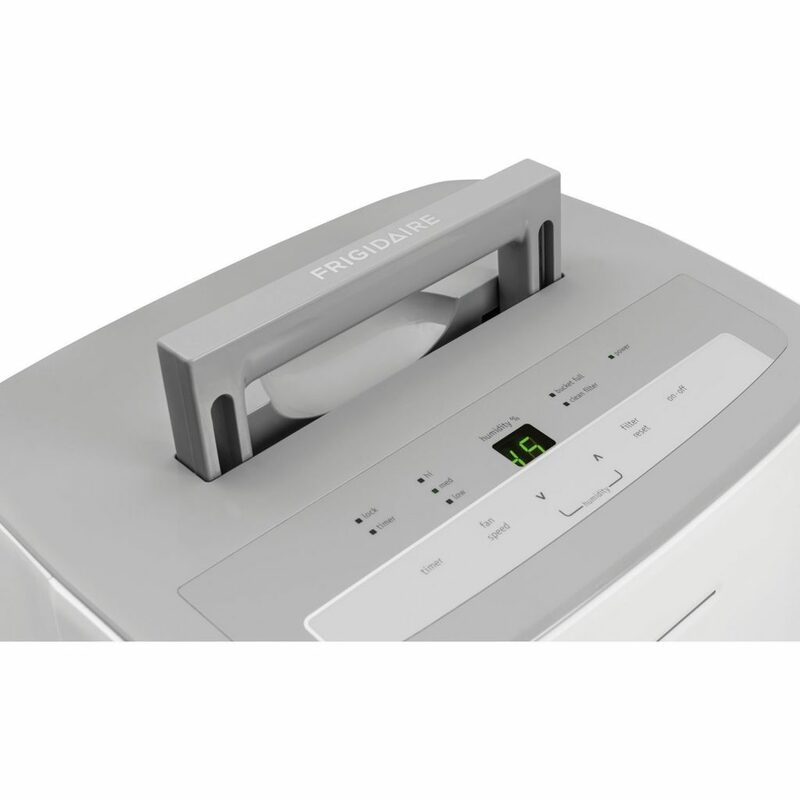 Frigidaire’s dehumidifier tackles smaller spaces with ease, but does require additional intervention to drain if not attached to an adequate drain of some kind. This is because of this model’s slightly smaller water reservoir in comparison to the hOmeLabs version. Both are very strong contenders, so it seems that the driving difference you must consider is the size of the space that needs humidity help.